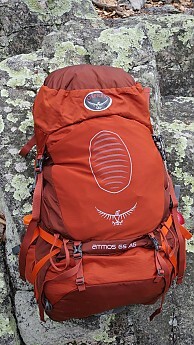 The Atmos AG 65 replaced the Osprey Atmos 65. Combined with Osprey’s modern features like the removable lid, the “Stow-On-The-Go” trekking pole system, and the “Fit-On-The-Fly” hip belt, this pack can satisfy both the seasoned veteran and the beginning backpacker! 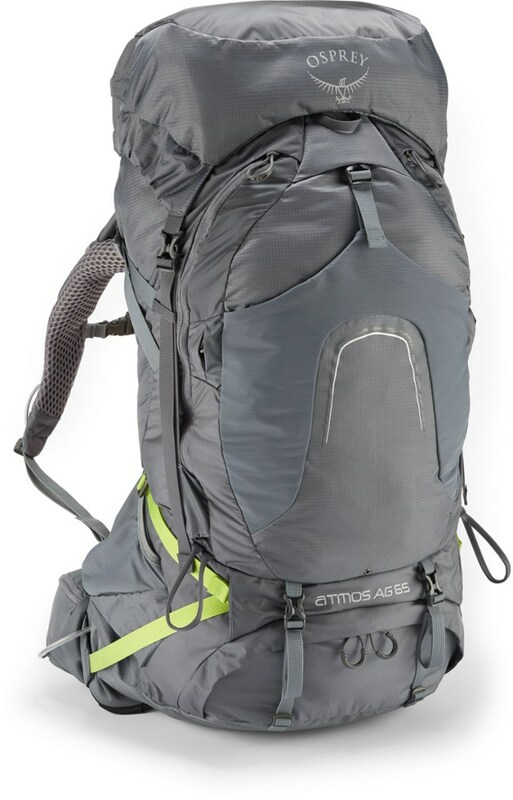 Ridge-runners, weekend hikers, and lightweight thru-hikers can all make the most of the versatile Atmos 65 AG backpack. With a truly revolutionary “anti-gravity” (hence the “AG”) design, this ventilated backpack conforms to the wearer’s back, successfully transferring almost all of the pack’s weight to the lower body. Osprey has done a great job breaking the barriers with this pack. This pack IS COMFORTABLE!!! Although not the lightest backpack on the market, the pounds really disappeared on my back, and did so in a custom-fit kind of way. This is the first wire-framed pack that I have ever used, so I was excited from the gate to put this pack through the ringer. Pack design is particularly important for me because of a lower spinal injury, so I was very interested in testing this pack’s “anti-gravity” hip belt/suspension system. 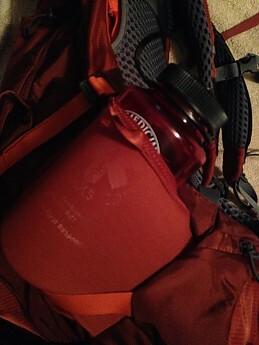 My typical go-to pack is an Arc’teryx Altra 85 that I often compress down unless I’m going on longer backpacking trips. Here is a link that will take you to the downloadable manual, which is available at ospreypacks.com Here are some of the pertinent specs of the backpack for the Men’s Medium size. 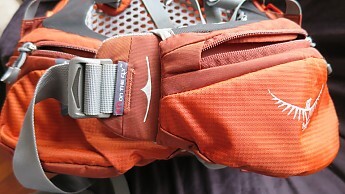 Osprey claims “outstanding fit and unrestricted movement when wearing the pack”, and I completely agree! The adjustable torso and hip belts allow the wearer to get a custom fit when wearing this pack. 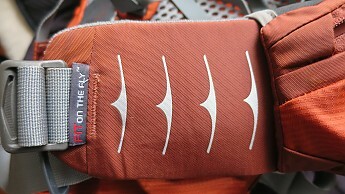 The so-called “Fit-on-the-Fly” hip belt extends 5 inches so wearers of a variety of different sizes can get a snug fit. As such, the hip belt straps are very long, with a pocket to stash the loose portion. With the combination of the perimeter wire frame and mesh back/waist panels, the Atmos 65 AG fits evenly, with a snug/springy feel. Hip belt strap has plenty to work with! Back side of the pack, showing the wire frame, hip belt, etc. I have found this pack to be extremely comfortable, but it took a few uses for the waist belt to loosen up where it flexes near the hip joint. I have found it to be very important to correctly adjust the torso for the load lifter adjustment to function properly, for it is easy to pull them taut and max them out. After several hikes, I found this pack likes to ride high on the hips, which I think ultimately, is very good! I find it all too often that people carry their packs too low on their hips, which often leads to discomfort, and hip/back pain. I had to shorten the torso adjustment a little bit to keep the center-of-gravity low, but the mesh hip belt does AN EXCELLENT JOB finding the Iliac crest. Note: It is also very important to make sure the shoulder straps are comfortable, especially at the top portion; these straps cannot be adjusted to be wider or more narrow. The medium size Atmos 65 fit me perfect, having a 20” torso length. Adjusting the load lifter and main shoulder strap will allow for some of this adjustment, but this may not suffice for wearers with wide or narrow shoulders. I highly recommend considering the larger or smaller pack size based on this factor. I am 5’10”, 155 lbs. with a slightly slim build, and found this pack to fit perfectly in this regard. The sternum strap is highly adjustable, especially up/down. 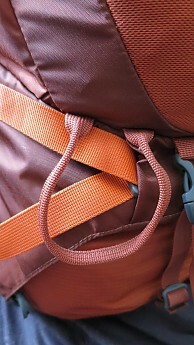 I personally feel that a highly versatile sternum strap is necessary for a great backpack, and is largely overlooked. Frequent, easy adjustment allows the wearer to stay free of soreness in the chest, shoulders, and underarms, especially on physically taxing multi-day trips. The torso adjustment system is pretty easy to use, however I found a good deal of difficulty becoming proficient with it’s adjustment. In my opinion, the manual is a little vague, with too few images to properly show how to make this adjustment. There are additional cams behind the mesh back panel that are not mentioned, and it initially appeared that they were part of the ‘user’ adjustment system. They are not. If these cams flip open, or the straps loosen out of the cam, it can be very difficult to correct. 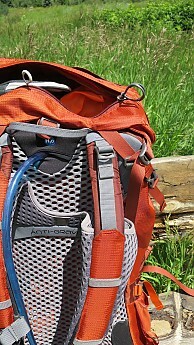 This 65 liter version of this pack does an excellent job for the capacity that it is designed. 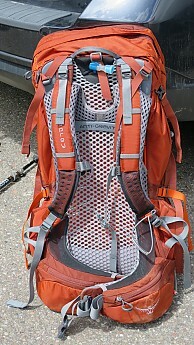 This pack is a standard type top-loading pack, and has a bottom access zipper. The bottom access point is very easy to use, and I have become rather fond of it. In the past I have usually viewed a bottom zipper as a weakness, and wasted additional weight. A thoughtful design increasing carrying capacity outside the pack is the exterior shovel pocket on the outside. This is especially useful for quick access items, or wet items such as a rain fly, rain gear, etc. 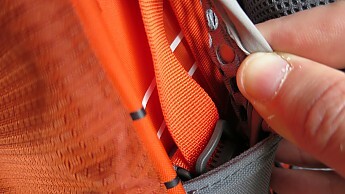 In addition to the shovel-style stash pocket on the exterior, there are two quite large pockets for additional quick access. 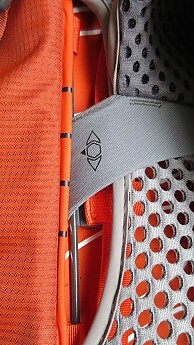 The side compression straps truncate the main body of the pack well, also allowing one to stow items like tent poles, using in conjunction with the exterior side pockets. The lid of the pack can be removed for weight savings (181g/6.4oz), and there is a sewn in flap that covers the top opening. 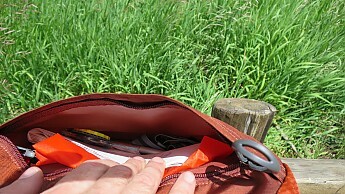 The lid has two pockets (both external access), one flat pocket for things like a map & compass, permit, or journal. The second pocket is spacious, large enough to store my bulky eVent rain gear. Removing and adding the pack lid is very intuitive, and easy. The two hip belt pockets are spacious, and convenient. The caveat with these pockets however are that the zippered entry points are rather tight, so it can be difficult fitting items that aren’t pretty flat. There are two exterior mesh pockets just to the outside of the hip belt pockets, which can accommodate up to a 32oz. water bottle. Another little attention to detail is that there are two access points for the pockets; vertically, or angle entry. With the angled access, it is easy to access a camera, water bottle, etc. without difficulty while wearing the pack. 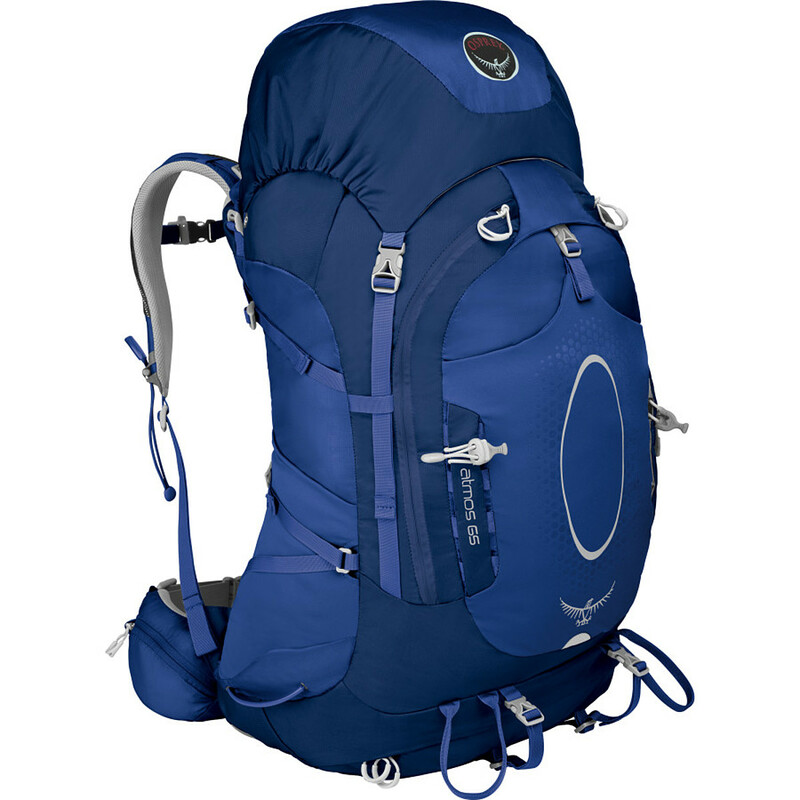 The Osprey Atmos 65 AG is a very comfortable pack in all conditions tested. The full-body ventilation of the pack does an admirable job; I only found sweat build-up to be present when hiking with rain gear. The hip belt does a very good job moving with the wearer, rather than limiting mobility. Even when moving over challenging terrain, such as navigating over large boulders or scrambling, the pack doesn't prevent the wearer from full leg extensions when needed. When releasing the load lifter straps, the pack continues to be stable. I have also found less need to make minor adjustments on the pack suspension for all-day comfort, which really goes to show just how well this pack does its job in the comfort/ride category. After properly fitting the torso system of the pack, the Atmos AG is very user friendly for beginners, and experienced walkers alike. The hip belt system has two simple levers for adjusting tension, which I found no slipping. The load lifters and main straps utilize universal style cams, which have been the industry standard for decades. There are four haul loops for lifting or moving the pack. The pack is includes dual adjustable/removable exterior straps for lashing a sleeping pad, winter tent, etc. outside your bag to save space. Remove them to save some weight. Also included are two tool attachment points, for an ice axe, longer term trekking pole storage, or other creative options. The “Stow-On-The-Go” two-point trekking pole attachment system is designed for carrying trekking poles while the backpack is being worn. The system does a great job when the poles are being stowed. If this attachment system is not being used, it can be a little finicky to adjust so one’s arms don’t annoyingly come in contact every step up and down the trail. A nice attention to detail on this pack is the looped zipper pulls. 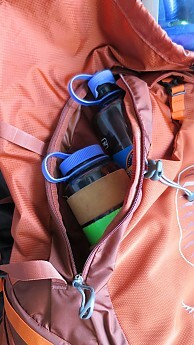 This pack features a a pretty standard internal hydration sleeve. It is an elasticized pocket that will do the job of keeping your hydration bladder in place. 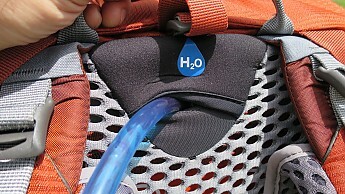 My only true gripe about one of the “features” is the location of the hydration reservoir hole. There is one centralized hole made with two overlaid pieces of neoprene that is rather small. This small hole keeps the natural lay of the reservoir tube from resting in a comfortable position for passive and active use. Simply creating a wider opening would resolve this little quirk. I have found this pack to be constructed with high quality materials, but have of course noticed some abrasions from wear. I have concerns with the long-term elasticity of the exterior shovel pocket, side pockets, and the access point for the hydration bladder, but this is really to be expected for any kind of elastic. One must take care of their gear, or accept facing shortened lifespan of their things! Osprey boasts their ‘ALL MIGHTY GUARANTEE’ for the lifetime of any of their packs. Offering a ‘free of charge’ repair or replacement of their gear for defects, or damage. Osprey honors this guarantee whether the pack was purchased in 1974 or yesterday! This is quite a tantalizing bonus for someone in the market for a new pack. Over the years, I’ve experienced pack degradation from regular wear-and-tear to damage caused by taking a spill on the mountainside. I was unaware of Osprey’s ‘no-charge’ repair philosophy until receiving this pack for testing. In the 21st century where packs are largely manufactured with plastics, this is an incredible benefit that understandably promotes brand loyalty. > 45 lbs on single and multi-day backpacking trips. Temperature ranged from about 35°F to well above 90°F. This pack has been carried in the sun, wind and rain from April-July, 2015. Estimated total mileage wearing pack: ~100 miles. TAKEAWAY: The Osprey Atmos 65 AG pack is hard to beat for the quality, features, and comfort in its price category. It's easy to find a 65 liter pack at a lower price point, but I sincerely doubt the comfort factor for hauling this size of a load will be comparable! For someone that's serious about spending time outdoors, and looking for the value of a lifetime warranty, this pack might be just what you're looking for! Great review and pics, Steve! That Colorado pic is beautiful. Looks like a great pack. Love the pics! Thanks! 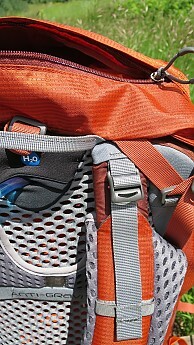 Friends took this pack in the 38L version on the Camino de Santiago earlier this summer. One commented that she forget she was wearing a pack at all several times in the trip. Sean, very comprehensive review. Some other reviews complain that the mesh back/hip material can be abrasive and/or cause a "hamburger" effect on one's skin. It sounds like you didn't experience this? Wow, super thorough and helpful review, Sean. Thanks for all the useful pictures and info. Thanks everybody! @ Bill: I had a short bout with the hip belt, but after the first ten miles or so, everything fell into place & got comfortable! @Sean thanks for the info. I'm tempted to try one of these, it sounds really comfortable. After my friend recently borrowed my older Osprey Atmos 65, he wanted to know how the newer version compares. I simply showed him this review and after reading it he said, "I think I have all the info I need and some info I didn't even realize I needed." Bravo, Sean! Great review Sean. Very detailed and thorough. I just bought one myself, and can't wait to try it out. While it is not ultra-light gear, it is good gear. While it is not ultra-light gear, it is good gear. It is comfortable and spacious enough for multi-day hiking. Access to the water bottle holders is difficult, especially when trying to re-insert the bottle. The Atmos AG is very comfortable and allows for multiple adjustments to shift the weigh. The AG stands for Anti-Gravity, and while that is not exactly true, it does let you adjust the pack up/down on the wire internal frame for a better fit. 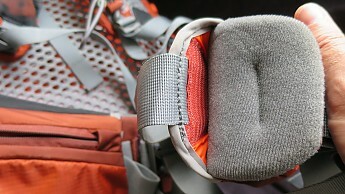 The hip belt is nicely padded, but the pockets on the belt are not easy to use with the pack on. I thought they would be nice to hold items that you need access to on a regular basis, but gave up and just used the cargo pockets on my pants (and I hate using cargo pockets!). The shoulder straps are cushy but don't smash down to nothing. The cargo area is top load with two large exterior zippered pockets and a large stretch/mesh pocket for your wet stuff. I am very OCD how I load my pack and don't have an issue with the top loader, but I could see benefits to a side zipper. The pack has an internal shelf that separates the cargo area from the sleeping bag (bottom) portion. 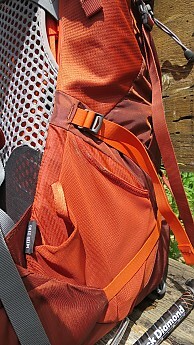 The pack has several compression straps, hiking pole slings, adjustable riser straps, and comfortable sternum straps. There are also lashing straps on the bottom of the pack. I have used the pack on several multi-day trips and am pleased overall. The pack has some small tears on the bottom of the belt pockets, I would guess from setting it down on gravel. But with Osprey's repair warranty, I'm not worried. If the tears get larger or if they get more tears, I'll send it back for a refurbish! I've have the pack for about a year and have done several overnights at Land Between the Lakes and a section hike on the AT. Welcome to Trailspace, Jeff! Thanks for sharing a review of your Osprey with us. If you have some pictures of yours in use, those would be helpful for others to see in your review. Thanks! Thanks for the picture, Jeff! The "Anti-Gravity" suspension has potential to be the most comfortable of all packs, because it is a good combination of padding at the shoulders and because the hip belt has a taut web to make it still more comfortable. The suspension surface that touches your back is extremely comfortable because it too is a taut web and it keeps your back cool in hot weather! 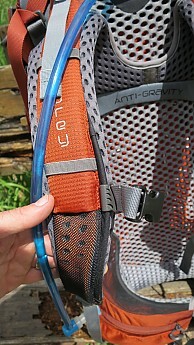 Osprey's "Anti-Gravity" (AG) suspension, used on the Atmos AG 50 and 65, is the best. It is cool on the back, and soft on the back and hip belt. 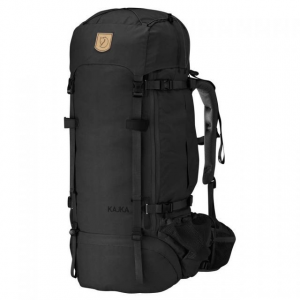 The pack load is as any quality pack should be for security and adjustability, etc. As I mentioned, the angle of the shoulder straps does not allow them to be flat on my shoulders without a load, meaning there will be a pressure point on the neck side of the strap. I already have an irritated shoulder tendon from a back that wasn't intended for heavy loads. The hip belt is wonderful for a bony person. I need a pack with greater slope to the shoulders than seems to be available. 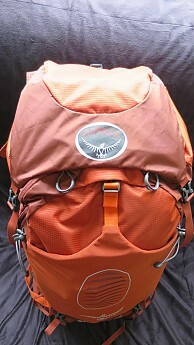 This pack is about the same in that respect as other 55-65 L packs, including Osprey and Gregory. 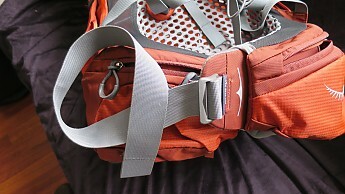 I have an 8-year-old Gregory Deva pack that may have the necessary slope because the shoulder strap attachment has two adjustable positions and the tabs pivot at their attachment point to the frame, as does the hip belt. However the padding for both shoulder and hip is not nearly as comfortable as the Osprey "Anti-Gravity." Despite this, for short hauls, the Atmos 65 was extremely comfortable. As in virtually every pack I have tried, with best results in shlI am leery of using it for extended trekking—but it may fit your shoulder. If you have no problem with shoulder strap angle on other packs, this one will probably work for you extremely well. Unlike the Atmos 55 AG, 65 has two rear deep pockets. 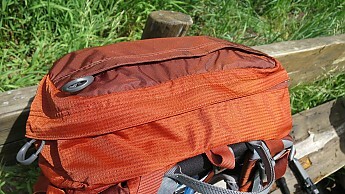 As with the 55, there is no back access to the sack except via the sleeping bag compartment when the false bottom of the sack (bottom flap of the sack) is not attached. 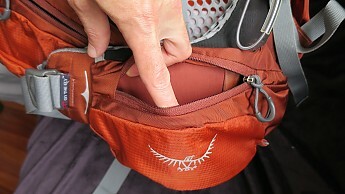 The false bottom attachment that creates the sleeping bag compartment has two drawbacks: It is on the backside rather than the frame side, unhooked via the bottom of the pack, but is about 6 inches up from the zipper access. This makes it hard to impossible to see for lack of light (which might be unnecessary if you switch frequently from the full pack to the sleeping bag compartment); I'd need a flashlight in the dark to cope with the awkward reach. The Mystery Ranch Ravine and my old Gregory Deva 60 both have easy access, hence good visibility to the flap attachment points. Unfortunately, the belt pockets cannot easily accommodate a 5.5" cell phone. It fits inside and the pocket can be zipped, but be careful not to bend it around the curve. Risky. I've seen other packs with larger hip belt pockets. The Atmos comes in a vibrant green, which is gorgeous, but I prefer the orangey wood color, which is, naturally enough, tends to increase my sense of being grounded, which of course, is necessary to appreciate Nature and to aid in coordinated motion and environmental awareness—eg. overhead branches, loose rocks, etc. Welcome to Trailspace, Mr. No Name! Thanks for sharing a helpful review of your Osprey pack. If you have some pictures of yours in use, those would be great to see in your review. I'd love to see reviews of your Gregory and other packs too. Thanks for the review. It's nice to have you on the site. This pack is incredibly comfortable. The AG suspension allows my back to breathe and minimizes the back sweat better than any pack I've owned. Used both on 3+ day camping trips as well as backpacking through Europe. This bag holds up to the elements and the TSA's abuse. Fitting was based on online guide. After purchasing and fitting the bag to myself I believe I could have gone one size smaller (currently M). The hip belt straps are rather long and if I was any thinner the hip belt would not fit properly. The torso length to hip size is tricky when purchasing. The pack is extremely adjustable, including torso length, hip belt, and shoulder straps. 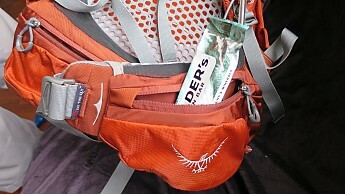 The best part is how easy this pack adjusts on the fly. 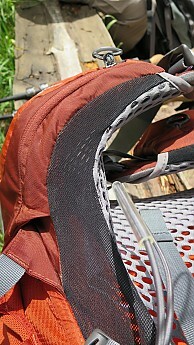 If I have any discomfort during hikes minor adjustments can be made to fix this, all without taking off the pack. The volume of this pack is more than sufficient for long weekend trips. I tend to overpack and have yet to fill this bag on 3+ day trips. The organizational structure of this pack includes a bottom pouch which I typically pack my sleeping bag in, this bottom pouch is adjustable with the main compartment so it will accept many different sized bags. The bag also has a large main compartment which houses my food and tent with space to spare. My favorite features include the two zippered front pouches where I store my gear I access regularly. Additional storage is located on the removable 10L top pouch and the bag also includes two hip belt pouches which are great for snacks. The pack rides easily. 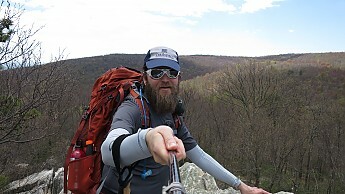 I have hiked 10 miles in a day loaded with 45lbs of gear and had no discomfort in this time frame. I am especially pleased with the durability of this bag. I am hard on equipment and it has yet to let me down. This bag traveled across Europe on countless flights and train rides without even the slightest indication of damage. I have used this bag for 3 months now, taking it out every weekend. My other Osprey bags have taken a backseat to this bag. The AG suspension is like no other. If you are thinking of purchasing this bag, don't think, just do it. I promise you will not regret it. Welcome to Trailspace, John! Thanks for taking the time to share such a helpful review of your Atmos AG. If you have any pictures of yours, it would be great to see them in your review too. This product is extremely well built—strong, lightweight, and very detailed. There are adjustment buckles located almost everywhere on the backpack, allowing you to really adjust this bag and customize it to fit your body shape. Not very many small pockets in the bag to help you organize your equipments. Fit: How well does the pack and all straps fit you? This pack fits me perfectly. It comes in different sizes, and a small fits me perfectly (I'm 5'7", 140 lbs). Visit your local REI and have them help measure you. I thought I would fit an M, but after measurements the REI staff suggested to me to get a small, and I'd have to agree with his opinion. What's best about this bag is they have adjustment straps everywhere, so you can really adjust it to fit you whether you are skinnier or wider in body shape. Both men and women would find this bag comfortable. Hip belts really sit on your hip bones. They designed the hip belt to be very tight, so it was a bit hard at times to put on the bag because the hip belts are so tight, but after you put the bag on it will comfortably sits on you. I was able to carry everything I need for a backpacking trip with just this one bag. The main pocket for this bag is a bit weird at first sight, as it actually opens up to the bottom of the bag when you would think the bag was constructed to be of two segments. After some usage though that feature turned out to be a clever design that allows you to store bigger items when you needed to and also able to separate them into two segments and have two different categories of things. Equipment is definitely securely packed. Accessibility of equipment is debatable. 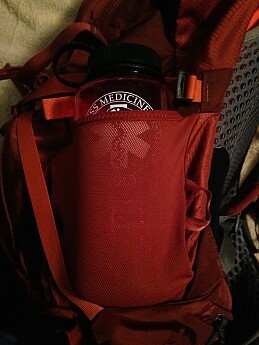 They do have large space in the top pocket for you to store a rain jacket and the design of water bottle pockets on the side allows you to slip in your bottle in a convenient angle, so that was nice. The bag felt extremely stable throughout my trip. I almost couldn't believe how light everything felt after I put the bag on my back. Yes. This bag has a top pocket that can be removed from the bag if you are having a lighter load. I just recently got the bag (two months ago) so can't provide much insight. All I can say is—so far so good! 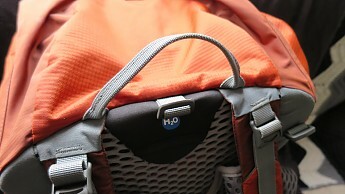 Like most hiking backpacks, this bag also has a space for a water bag. In addition, this bag is called Anti-Gravity for a reason—it really feels light on your back. The side of the bag that sits on your back is a mesh canvas, allowing great breathability. I've only owned this bag for two months and had been very satisfied with it. I'm confident that this bag will last me a for quite a long time. This is a very new investment so I haven't have a chance to use it that much. The longest hike I've taken this bag to was a backpacking trip at Olympic National Park in WA. It was a two-day, one night trip and we carried many things (including a stove). The things we carried were a bit too much now that I've learned more about minimalist backpacking. Welcome to Trailspace, Helen! Thanks for sharing a helpful review of your Osprey. I hope you'll keep us posted on how it continues to work out for you. 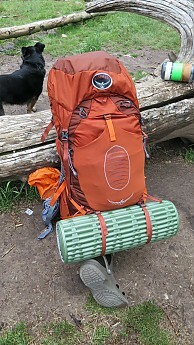 Do you have any pictures of your pack you can show others in your review? This is a great backpack for multi-day hikes and winter trips. It supports all the gear I need and is very ergonomic with the straps, the Anti-Gravity style and hip-support. It has a good design overall and the only flaw I have noticed is that it is a bit squeaky. 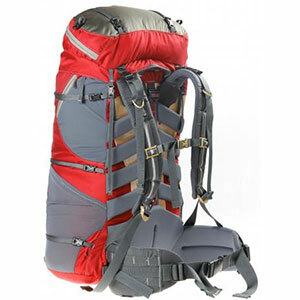 I can recommend this for backpackers wanting to be comfortable while hiking and that need to carry equipment. The strap meant for the sleeping pad is a bit small for my pad. Fit: I find it very well fitting for my semi-tall torso, thin waist, and broad shoulders. It's also well-adjustable and also suits me while wearing a thick winter jacket after adjusting the hip belt. Comfort: Usually with backpacks I get a very sweaty back, but this backpack had a very good ventilation and not too much sweat from walking in the sun. The hip belt suits me and is adjustable in different ways. The sternum strap is also adjustable after your liking. Capacity: It fit all my gear greatly. I believe it can even fit more gear than 65 liters with all the straps and things on the back of the pack. It has places for bottles, ice-axes, trekking poles, sleeping pad, and tent on the back. Organization & Accessibility: Most of the stuff is easily accessible, except for anything in the large packing area due to the tent being in the way, and you would have to unstrap the tent, open up and redo the tent placement if you wanted anything removed from that area. Luckily that can be avoided with a bit of planning if you place the smaller items in other side pockets that doesn't interfere with the tent's placement. Those side pockets are however too small for a stove or other slightly larger needs. Ride: It feels very stable on my back as I walk with it. I have however no experience of having it overpacked, but the amounts I've had so far (20 kg/45 lbs) have been great. Compression: The pack works best when it's filled out. It feels a bit clunky while it's a bit empty. Still works though. Ease of Use: So far everything has been working consistently. There hasn't been any part malfunctioning, even though there are some parts I still haven't figured out their usage of yet :). Features: Anti-Gravity frame is a great feature and really helps with the loads. There is a mesh material part on the back meant for drying clothes, I believe, even though I haven't had too much success with it. There is also a whistle attached to the sternum-strap. 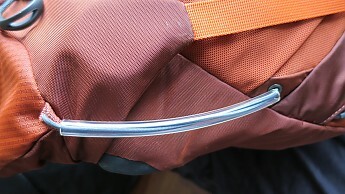 More noteworthy features would be the ice-axe/trekking poles straps. Construction & Durability: It has been very durable so far, and I am not a very careful person with my gear. The only con is that it is squeaking now. Conditions: I've had this backpack while hiking around Gotland, Kurjenrahka, Södermansleden in the winter and climbed Kebnekaise with it. Welcome to Trailspace, William! 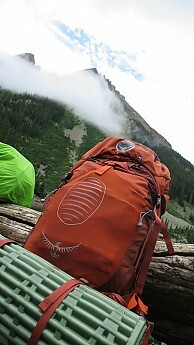 Thanks for sharing such a helpful review of your Osprey pack with us. It would be great to see a few pictures of your pack in your review. By the way, I'd love to visit Sweden and its trails someday. Thorough review. Just needs pictures. Thanks. I was a little leery about purchasing the Osprey AG 65 because it was so new to the market, but once I tried it on at the store I instantly knew that it was designed for me. I have a small case of arthritis in my lower back and my old pack was killing me. I was about to give up backpacking altogether until this product came to market. I have done four trips with it so far and the comfort is superb. The fit is exact with the easy adjustable features it has. The compartments are large enough for all my gear. I am 6 foot three so my sleeping bag is an extra long and it fits well in the sleeping bag compartment. It will carry a 45-pound load well. It transfers the weight to the hips and gets it off your shoulders wonderfully. I am truly happy with this pack and its comfort. The only drawbacks I have found are 1: the hip belt pockets are really tight and small and 2: because of the natural contour of the pack and how it hugs your back when it is full the top of it pushes against the back of your head sometimes and makes your neck sore after a long hike. I will try and re-organize my pack to cure this problem. I will and have recommended this backpack to every person I see because of the comfort and how it hugs your body and transfers weight so well. Top notch A-1 product. Wish it came in a few more colors though. Welcome to Trailspace, Matthew! Thanks for sharing your first review with us. Got any pictures of your Atmos AG you're willing to add to your review? Amazing pack! The most comfortable pack I have ever had with tons of extra features and storage. It's not the lightest but the comfort and versatility make up for it. The pack is made for men, but I am very short. The small size fits me and the shoulder straps are very adjustable and the torso belt can also be adjusted. The venting is amazing thanks to the mesh that surrounds the pack. The small is about 62 L and that is plenty enough for me. I don't end up filling all the pockets and I always take off the pack hood to save some weight. All of my gear is easy to access as I organize my pack and put it in the main compartment. 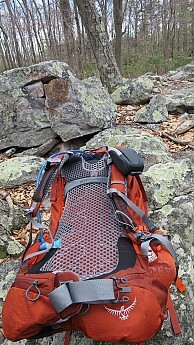 When I am hiking, the load feels nicer than any other pack I have used. It feels like the pack is levitating on your back. 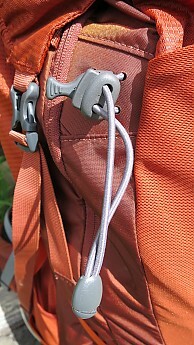 The pack also has bungees for trekking poles along with ice axes. Even though I have only used this product for around a year, I would recommend it to anyone looking for a new pack or a nicer feeling pack. Welcome to Trailspace, Justus! Thanks for the review. Fitting was based on online guide. After purchasing and fitting the bag to myself I believe I could have gone 1 size smaller (currently M). The hip belt straps are rather long and if I was any thinner the hip belt would not fit properly. The torso length to hip size is tricky when purchasing. The volume of this pack is more than sufficient for long weekend trips. I tend to over pack and have yet to fill this bag on 3+ day trips. The organizational structure of this pack includes a bottom pouch which i typically pack my sleeping bag in, this bottom pouch is adjustable with the main compartment so it will accept many different sized bags. The bag also has a large main compartment which houses my food and tent with space to spare. 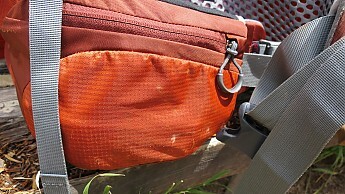 My favorite features include the 2 zippered front pouches where I store my gear I access regularly. Additional storage is located on the removable 10L top pouch and the bag also includes 2 hip belt pouches which are great for snacks. The AG suspension is like non other. If you are thinking of purchasing this bag, don't think, just do it. I promise you will not regret it. A well built product. Very comfortable AG back support system that makes this a must have. After many hikes with this pack (Arizona, Utah, and Florida) I've found it to be the most comfortable pack I've ever worn. A+ for the AG design! Osprey stands by its product and I've heard and read that they will replace your pack no questions asked for whatever reason for the lifetime of the product. I don't know for sure because I haven't had a single problem. I ordered the large size.. but medium height... and wish I had ordered the Large size of the Large as I have a low waist line and my pack fits a little high for my liking. The pack held all of my gear no problem, which includes some unnecessary items. 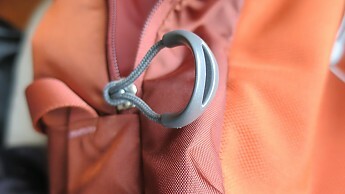 Pack also includes a built-in whistle that's in the form of the strap buckle. Welcome to Trailspace, Clint! Thanks for the review. Two packs, two failures of the Velcro on the waistband. I received a replacement pack after the velcro "on the fly" adjuster failed and was slipping, meaning I couldn't tighten the waistband. It happened on day 1 of a 14-day trek and the pack was brand new. I had the weight of the pack on my shoulders for the remainder of the walk killing my back. On returning home I was provided a second pack and another failure of the Velcro hip belt occurred after around 7 days use and only 6kg in the pack. Once again carrying weight on my shoulders. If it were not for these failures it would be a super pack. There is no need to have additional adjustment on the waist where the failure occurs, a real shame. Also spoke to another walker who experienced the same issue with his and had his pack replaced with no further issues. Sending mine back again, but won't be accepting another as unfit for purpose. 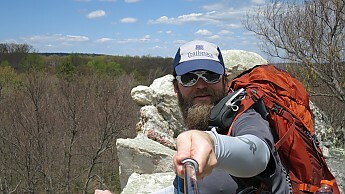 Welcome to Trailspace, Mark! Thanks for letting us know how your Osprey packs worked out for you. If you have any pictures of its failures, those would be helpful to see in your review. This is the perfect pack for a weekend or a week-long trip. You can detach the hood for a smaller pack. I've done so a few time when bushwhacking. The Anti Gravity system make for a very comfortable pack. The weight feels like it's gone. I can even tie my shoes with it on my back. My wife told me if I quit smoking I could get a new pack. So I'm smoke free. The pack is totally adjustable, but you should always get fitted. This is the most comfort I have ever seen in a pack. The hip belt could use a little more padding. Osprey calls it a 65L but they come in small, medium, and large. All have different liters. The hood can be detached for a weekend trip. The two external pockets come in handy for the things you need more on the trail. 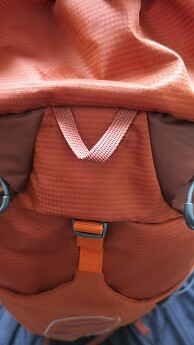 I do wish Osprey would have put clips on the hood for quicker on and off and to make a small day pack. The external loops for ice axes and trek poles are great. And I love the lifetime of free repair. Congratulations on being smoke-free, oogway! Very practical and comfortable pack...holds weight well. This was my first extended trip. We went up to over 11k to our base camp for multiple days and the Atmos 65 had plenty of room for all our gear and was very comfortable to wear. 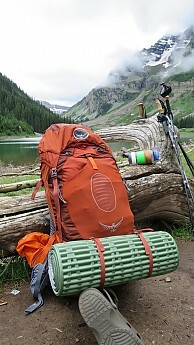 The Osprey Atmos 65 AG proved to be a great backpack. It fit perfect from the first try on in the store till the last minutes of our descent. It was very comfortable to wear and had more than enough space to carry all our gear. 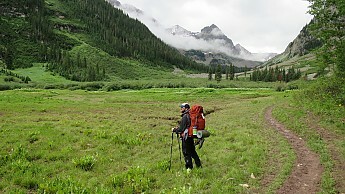 We did multiple days of day hiking out of a base camp in the Colorado Rockies. It was our first major trip to anywhere that high up and the pack made it easy to walk / climb and not suffer from any sore backs or shoulders. It kept me cool as the ventilation design keeps the pack away from your back and allow air to pass between you and the pack. My only complaint was that it was hard to use the belt pockets because they ride too far from the front of your body. Welcome to Trailspace, Joe. I hope your Osprey continues to work out well. Keep us posted. Overall, the pack is very comfortable. However, I am not sure the designers ever thought about anyone carrying more than 30 lbs in it or they would have NEVER made the hip belt pads lock in place with sub-standard hook-and-loop closure system. This failed on my 5th day wearing the pack, with only 40 lbs loaded in the pack. I had to shoulder 90% of the weight of my pack for a week after this, ruining my trip. Hip belt pads held in place by hook-and-loop closure that fails EASILY. I purchased this pack new and took it on a quick weekend trip with about 32 lbs in it, and it was wonderful. It fit well, transferred most of the weight to my hip belt, ventilated well, and was very comfortable, not hindering my movement at all. 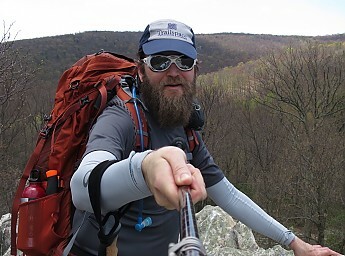 Next, I took the pack on a week-long section hike of the AT, covering 85 miles out of Damascus, Va. The terrain is very rocky, rough, and rugged with many ups and downs. 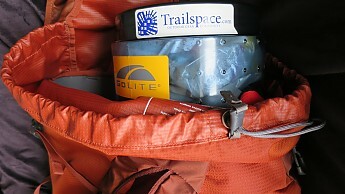 I started with a week's worth of food, and the pack weighed in at 45 lbs with 3 liters of water on board, so 39 lbs dry. Each day the weight went down as I ate the food, however, halfway through day 2 (which was only the 5th day of me ever wearing this pack) the hip belt TOTALLY failed. 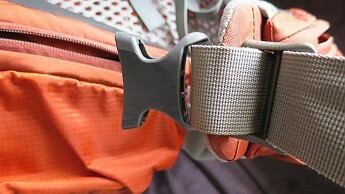 The hook-and-loop (Velcro) system does on hold on the "Fit-on-the-fly" hipbelt. I pulled the straps to tighten the belt, and EVEY time the hip belt pads would FULLY extend due to the hook and loop failing. This would not allow me to tighten the hipbelt tight enough to carry any weight at all, so for the remainder of my trip, I had to carry 90% of the weight of my pack on my shoulders, which, needless to say was NOT comfortable and pretty muched ruined a trip that I had been planning for 6 months. I was extremely disappointed as I own two other Osprey packs and have for years. I have outfitted many of the Boy Scouts I lead in Osprey packs and gear, but after this fail and ruining my trip and killing my shoulders, I must say that I am no longer a fan. I stopped in a local outfitter shop and Osprey dealer to see if there was an adjustment that I was missing or some way to retro fit the pack with the old style Iso-Form hipbelt from my Aether pack, but he said no. 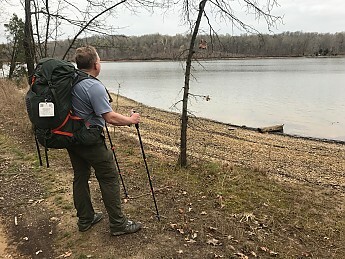 He explained to me that this was a complaint of many AT thru-hikers with that pack, and some even trashed the pack and purchased another brand. His solution was for me to "sew" the hip belt pads in place once I get a fit, but how would I do that? What kind of thread would I use? What kind of machine can go through that material?? He could not swap out the pack and told me to contact Osprey, which I am in the process of attempting, but have not heard anything back yet. I am sure I will have to send the pack in for replacement or repair (although nothing appears to be broken — it simply seems to be a poor choice in design materials), but in the meantime, I am without my pack and have another trip planned soon. Welcome to Trailspace, John. That's disappointing that the pack failed on you. Are you able to share some pictures of the issue in your review? Amazing pack that feels like nothing at all. 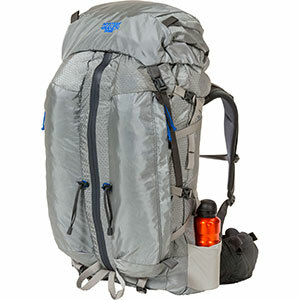 This is a great short hike pack (2-4 days) unless you are truly an ultra-light hiker then you could squeeze more days out of it. The AG suspension and mesh is amazing for my build (5'9" 205lbs). I wish we had a pack system like this in the military for carrying heavy loads. Overall it's very comfortable even without using the load lifters appropriately (I hardly ever adjust these mostly because I forget). I like the compartments, but I'm a pocket guy and wish there were more of them. I would definitely recommend this pack for shorter trips when you don't need to carry 80+L of gear or if you are an ultralight hiker. 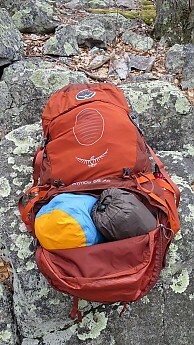 The revised Osprey Atmos AG 65 is a well-made pack that fixes many of the problems with previous models; however, the new edition of the pack is much heavier than earlier models. If the increased weight does not concern you then you will like the changes. All in all this is a robust pack that may no longer fit the needs of lightweight backpackers. The new air suspension is much more supportive than earlier editions. 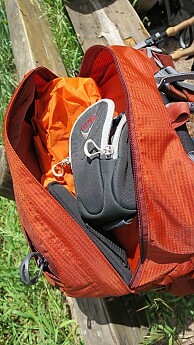 The pack bag pockets can still be used when the main bag is packed. The load lifters are more effective than on past editions of the pack. The size large that I tried weighed 5'4 ounces, a 24 oz increase in weight. I tried a size large pack; I weighed it at the local REI, and it weighed 5 pounds 4 ounces. Last year's model weighed 3 pounds 12 ounces on the same scale indicating the new pack has gained 24 ounces.For some this may not be significant as the improvements to the new edition make the pack very attractive. 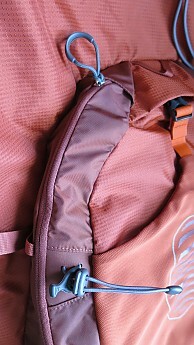 For example, in former models the slash pockets on the front of the pack were difficult to use when the main bag was full; this has been fixed. Additionally, the new integrated hipbelt wraps the user's body providing more support than previous editions. This has its trade-off though because the pack now feels (and is) heavier. The hipbelt feels more like the one on a DD Terraplane, supportive, but heavy feeling. The overall suspension has been improved as well; the mesh backing now provides more support. I do have some nitpicks with the load lifters. The shoulder straps are integrated with the load lifters such that there is little adjustment possible. The load lifters do their job, but I was unable to dial in completely a great fit. They are an improvement over previous years. The capacity of the pack is now comparable to the Arc'teryx Altra 65 which to me is the highest volume 65L pack I know of. In this respect the changes to the Atmos 65 are positive, and I felt that I was able to get the full use of the pack's listed volume. I loaded the pack with 40 pounds; it was much better in handling the load than last year's pack. 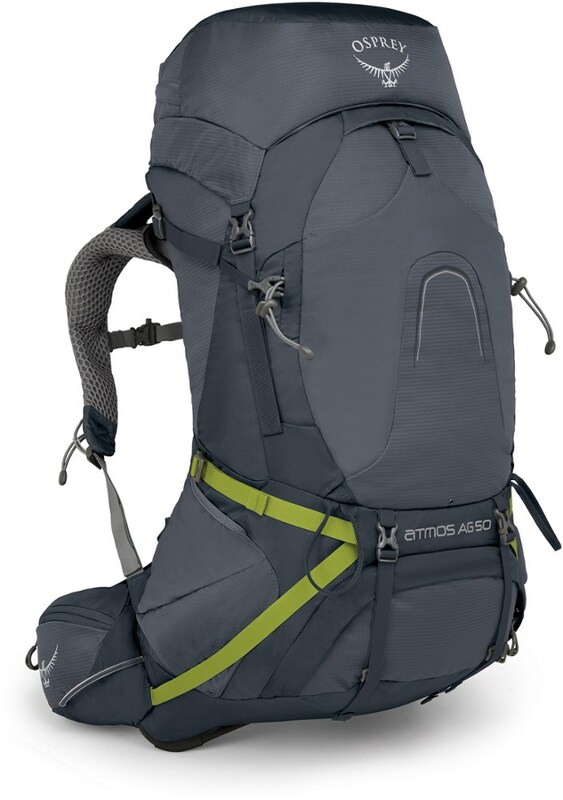 Yet, most people in the market for the original Atmos 65 were looking for a lightweight pack capable of handling 30 pounds or less which that pack could do if the pack fit you. The new pack is clearly capable of carrying more but at a gain in weight. So...if you want to carry heavier loads the Atmos 65 AG is a great pack, but if you are looking for a lightweight pack look elsewhere. This pack will fit a wider range of people and is robust; I have no doubt it will last a long time. It may not be just what you were hoping for with the upgrade. Thanks for the review and info on this updated pack, Deweydog. I'd love to see some pictures of yours in your review, if you're willing and able to add them.